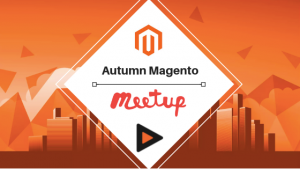 We’re counting down to our next Bristol Magento Meetup! The event will take place on Wednesday 28th November, starting at 6pm at the King Street Brew House. You can find us in the Tank Room. We’re excited to have James from New Vision, an integration specialist talking at this event, Hadleigh Winter, Business Development Manager at Pixie Media and Simon Wharton from PushON. – James, New Vision: ‘Enabling global fulfilment with the Magento API’. – Hadleigh Winter, Pixie Media: ‘Magneto Social and Social Media eCommerce strategy’. – Simon Wharton, PushON: ‘Quick and Dirty eCommerce Planning’. More details and updates to follow, including our headline speakers, but if you’re interested in talking at this event or for future ones, please get in touch. Big thank you to Brightpearl who will be sponsoring the food and drinks for the event. We look forward to seeing you at the Bristol Magento Meetup and don’t forget to keep an eye out for updates.